How has Gazprom’s strategy worked in Stockholm? As Ukraine celebrates victory of Naftogaz of Ukraine over Gazprom at Stockholm Arbitration Court, experts see no special reasons for joy. Gazprom has managed to defend itself against Naftogaz’s financial claims, and changes in the contract terms do not matter at the current situation, since Kiev does not buy gas directly from Russia and will hardly start doing it by the time the contract expires – in 2019. “It’s an important step paving the way towards energy security. Moscow is losing the chance to use gas as a weapon of political pressure and blackmail,” President of Ukraine Petro Poroshenko said in a Facebook post commenting on the Stockholm Arbitration Court’s decision. “It’s an absolute victory of Ukraine and European rules over Russia’s energy aggression and Gazprom’s monopoly,” Ukraine Foreign Minister Pavel Klimkin said in a tweet. In response to Kiev’s joy, Deputy Chairman of Gazprom Management Committee Alexander Medvedev said, “Kiev is celebrating victory…What victory? Touching the ball twice and failing to score a goal is not a victory. Scored goals is what matters in football, not short-term ball possession,” Interfax reports. As EADaily reported earlier, Stockholm Arbitration Tribunal issued an interim decision on cross claims by Gazprom and Naftogaz of Ukraine concerning gas supply contract. Russia is so far refraining from comments saying that the 790-page document needs to be reviewed. “It is necessary to wait until final verdict to draw conclusions. Even lawyers will need time to analyze all the nuances in the comprehensive document,” says Aleksey Grivach, Deputy Director of the National Energy Security Foundation. Ukraine has unveiled some details of the interim decision. 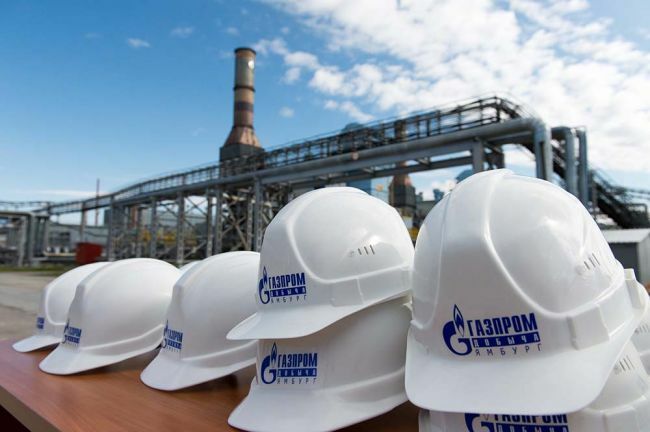 Arbitration tribunal “rejected” Gazprom’s “take or pay” claim, demanding Ukraine to buy 52 billion cu m of gas annually, allowed re-export of gas and demanded that the gas price is linked to the cost of gas at European regional hubs and not the oil price. Gas price before 2014 was recognized invalid. This means that Naftogaz will not receive the $14 billion compensation for the period since 2010. As for rejection of “take or pay” principle, it means that Gazprom will not receive most of the amount it demands - $37 billion. Dmitry Marunich believes that “take or pay” principle has been discriminatory for Ukraine from the very beginning. “There were precedents of European companies disputing that principle at the court by filing claims against Gazprom. Valentin Zemlyansky, Director of Energy Programs, Center for World Economy and International Relations, National Academy of Science, Ukraine, brings another possible factor behind the arbitration tribunal’s verdict – the unstable economic situation in Ukraine caused by loss of foreign markets in CIS. “Gas consumption by industrial sector (main consumer of imported gas in Ukraine) fell from 18 billion cu m in 2013 to 9 billion cu m last year,” the expert says. According to him, it was anticipated that the arbitration tribunal would avoid creating a precedent of satisfying a claim of several billions of dollars. Gazprom itself closed eyes at violations of the “take or pay” principle until Naftogaz lodged a claim to Stockholm Arbitration Tribunal. In December, at the talks with participation of EU, it promised the same, but did not refuse to register guarantees in the additional agreement to the contract, since it was to appeal to the Stockholm Arbitration Court. As for changes to the contract required by the Arbitration Tribunal, it just brought the document in conformity with the contracts effective between Gazprom and European companies and the terms the Russian company suggested to settle EU’s anti-monopoly case, says Igor Yushkov, senior analyst at the National Energy Security Fund. Valentin Zemlyanskiy agrees with Yushkov. As for cancelling the ban for re-export, it will decide nothing, as Kiev does not buy gas under the contract and will hardly do that before the contract expires, says Aleksey Grivach. In addition, it is not clarified for what period the “take or pay” principle will be cancelled, says Igor Yushkov, senior analyst at the National Energy Security Fund. The expert supposes that the final verdict may even bind Naftogaz to pay something under its contract liabilities. Evidently, Gazprom will be implementing a rewritten contract, but it will little influence the Russian-Ukrainian gas relations in the short-term outlook. “Kiev will be minimizing Russian gas import, if it buys it at all. That issue is extremely politicized in Ukraine,” says Dmitry Marunich, the co-chair of the Energy Strategies Foundation. Igor Yushkov, senior analyst at the National Energy Security Fund, in turn, says some not large purchases on short-term contracts are possible, meantime refusal from any deliveries of Russian gas is a political trap for Kiev. “At present, they say the issue is not politicized and is connected with the contract terms only. Now the contract will be brought in line with European rules and a refusal from gas purchases may be interpreted as a political decision,” Yushkov says. In his words, if all projects of Gazprom are implemented, in 2020 almost entire transit of the Russia gas will “leave” Ukraine and the political motivation may disappear. “Then the relations may start normalizing and the blackmail elements will vanish too. Besides, the reverse gas will rise in price, as it is mostly Russian, but it will no longer be available in Slovakia after transit via Ukraine. They will have to buy it somewhere in Germany,” the expert says for conclusion.